We are pleased to announce our Doctoral Workshop to be held during the last day of the conference. The Doctoral Workshop is intended for doctoral students at the early stage of their dissertation research. The Workshop will be highly interactive and will include a variety of panels. Acceptance of a paper at the main conference is not required, but attendance at the conference is expected. The workshop will be led by national and international speakers. 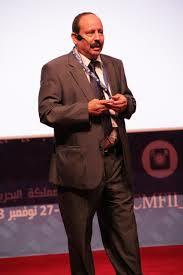 Fouad BEN ABDELAZIZ, is currently Professor at NEOMA BS, Rouen Campus, France, and Head of the M.Sc. in Supply Chain Management. He received his PhD in Operations and Decision Systems from Laval University, Canada. He was a Senior Fulbright scholar at the Rutgers Center for Operations Research, Rutgers University, NJ, USA. He is a leading researcher in multi-objective stochastic optimisation. Aside his publications in outstanding journals like EJOR, ANOR and FSS, he served as Guest Editor of special issues of reputed international Journals. Dr. Ben Abdelaziz has been working/visiting many Universities around the world, as the University of Tunis, the American University of Beirut, the University of Dubai, and Pace University NY. He has been consulting for the chemical industry and was appointed as an accessor for the Dubai business award. His recent research interests are in Supply Chain Optimisation and Applications. He was appointed as the director of the Doctoral School and the Director of the LARODEC LAb at the University of Tunis.